Mission: Provide vital services, education, and advocacy for those living in poverty, leading to self-sufficiency and a fair and just community for all. Please call for other Programs: Stagger Straight, Home Repair, Daily Bread Café and Open Door Advocacy, CCJ Thrift Store and The Little Tree House. 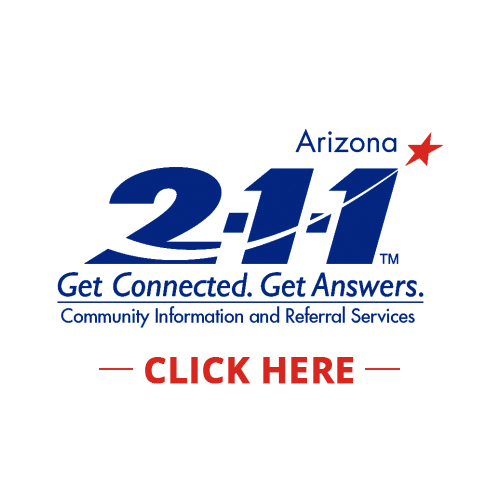 Mission: 24 hour emergency shelter, meals and daily essentials for women and their children seeking a therapeutic response to any type of victimization homelessness and domestic violence in West Yavapai County. Mission: Homeless shelter services for women and women with children in their efforts to regain balance and move forward in life. Mission: The shelter provides basic resources to homeless/transitional women, women, children and veterans providing temporary housing, resources individualized case management and a pathway to permanent housing to those in Yavapai County. Mission: Sanctuary services provides safety for victims of family violence and assault that includes a 28 bed shelter, 24-hour crises hotline, advocacy and counseling services, legal support and education and prevention programs. Provides bilingual legal advocacy for civil, family, divorce, etc. legal concerns, assists with paperwork & accompaniment to court but is NOT legal counsel. Mission: Providing food through an on-site pantry and other service agencies throughout Yavapai County. *With Yavapai County Food Bank Card, can go to: “Needful Things” for other household items and clothes. Also can receive free computer classes at Yavapai Computer Training Ctr to anyone with a valid Yavapai Food Bank Card.